There were women musicians and composers in the baroque age, and there are some fantastic female baroque musicians playing nowadays. This is the thread where we can share and celebrate Women In Baroque Music. I'll start with Rachel Podger, the HIP baroque violinist. I've seen her twice now - each time at Norwich Cathedral, playing with Norwich Baroque - and she is amazing. Not just as a player, but as a person - she is so warm and lively that she inspires all around her, so that Norwich Baroque have responded with passion and sounded their very best. Rachel went into the pulpit both times, and sounded like an angel as she played some Bach that she'd arranged for solo violin. PS - I've put it on my Facebook, it's such a good video. Last edited by Ella Beck; Oct-08-2018 at 17:37. I discovered Barbara Strozzi about five years ago - I love her songs and am intrigued by her life story. I was very pleased to discover this short video about her by classicfm, the UK classical music radio station. I'm looking forward to watching it. This is the first song of hers that I listened to - I love the way the vocal line and instrumental accompaniment interweave. This one is so passionate and the melody so organic and almost eerie. Norwich Cathedral is beautiful, I visited there when visiting my brother. You were so lucky to see live performances and especially Rachel Podger. I managed to see her with Andrew Manze, brilliant performance of Bach's. double violin concerto, at the Royal Festival Hall. Thanks, Alderon - that's a useful link! The baroque violinist Elizabeth Wallfisch - here playing The Assumption from Biber's Rosary Sonatas. Cecilia Bartoli is a woman who has a deserved good reputation in classical music but who also has done a lot for baroque musc. 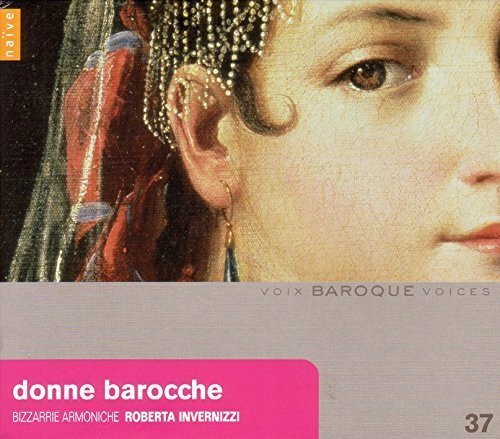 This is a nice compilation of works by Elizabeth-Claude Jacquet de la Guerre, Barbara Strozzi, Antonia Bembo, Rosa Giacinta Badalla, Isabella Leonarda, Bianca Maria Meda. We found it after buying Bizzarrie Armoniche's version of the Rosary Sonatas. (also well recommended). I've just discovered his soprano, Gemma Bertagnoli. Here she is singing some Handel and some Purcell.